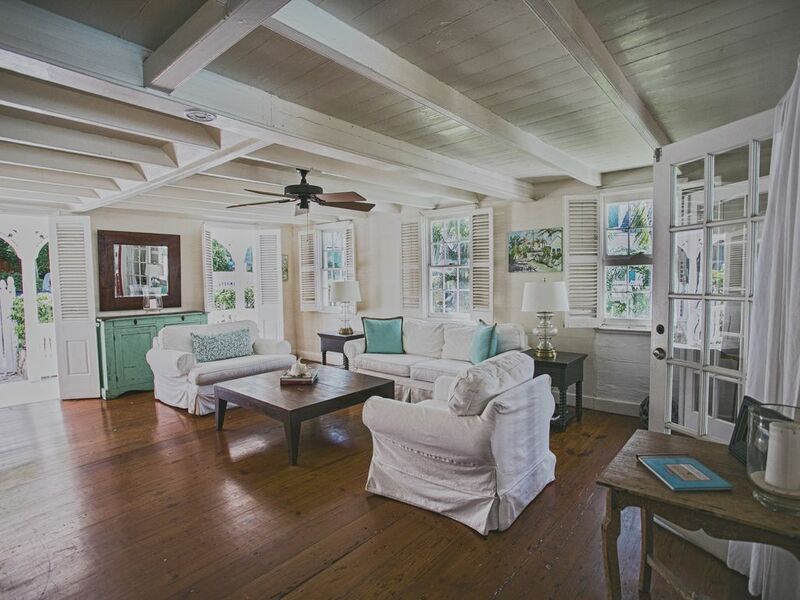 "The Hatch" provides the charming authenticity of a historical home while tastefully integrating large tropical outdoor living spaces and modern conveniences. The home features a large covered dining room, living room and a seated bar area. 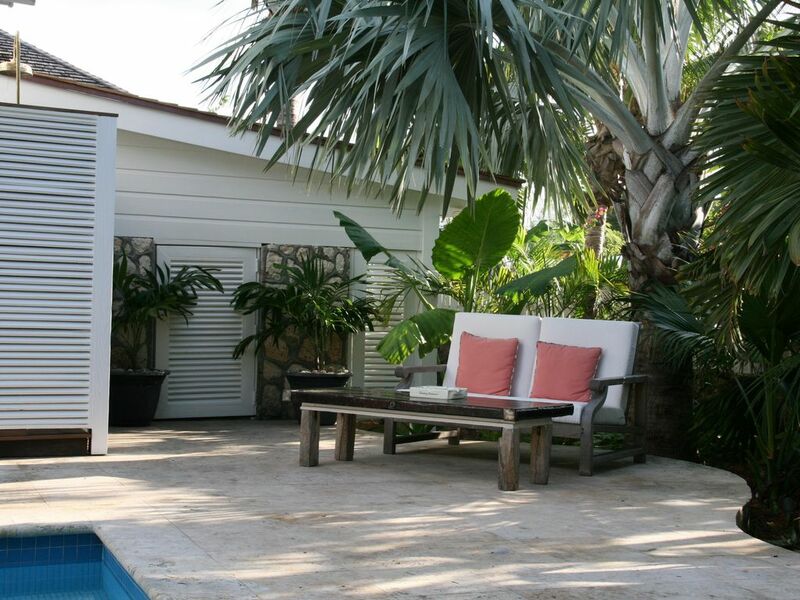 The heated pool, lounge areas and outdoor pool table are surrounded by lush landscaped gardens. 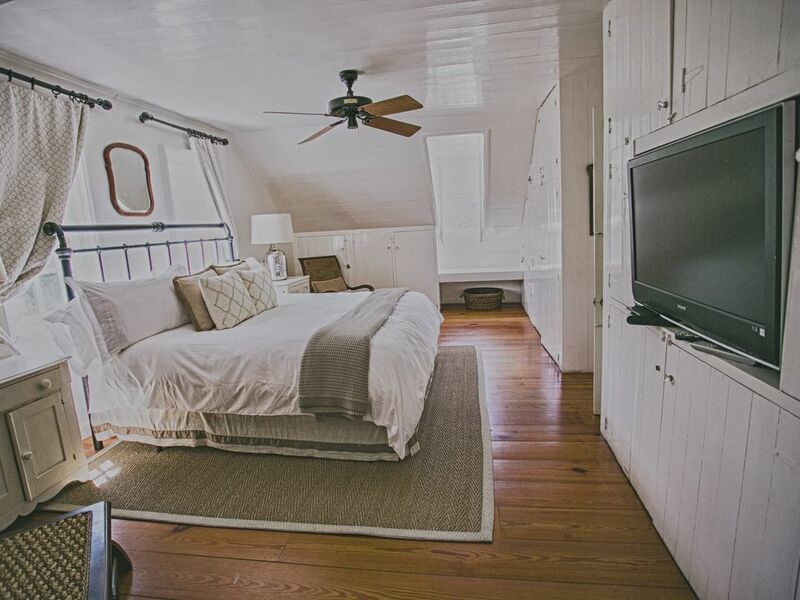 The Hatch also offers a large top deck for lounging or catching sunset views. 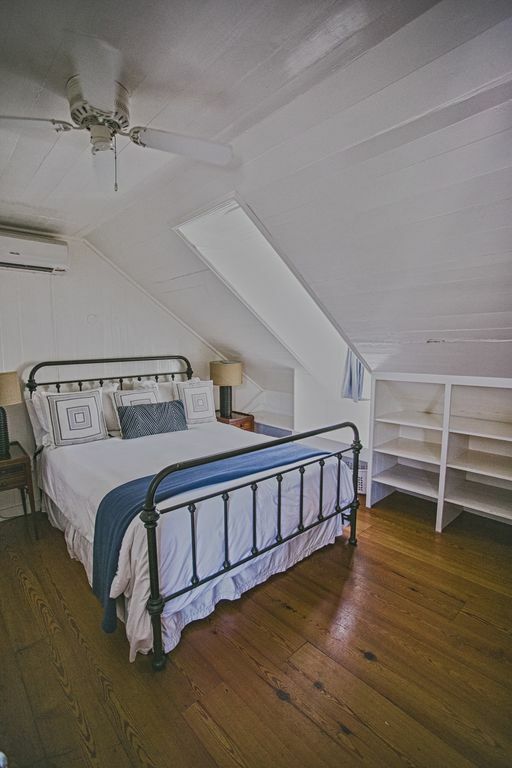 The main house has two bedrooms upstairs, a master with king bed, the other with a queen. 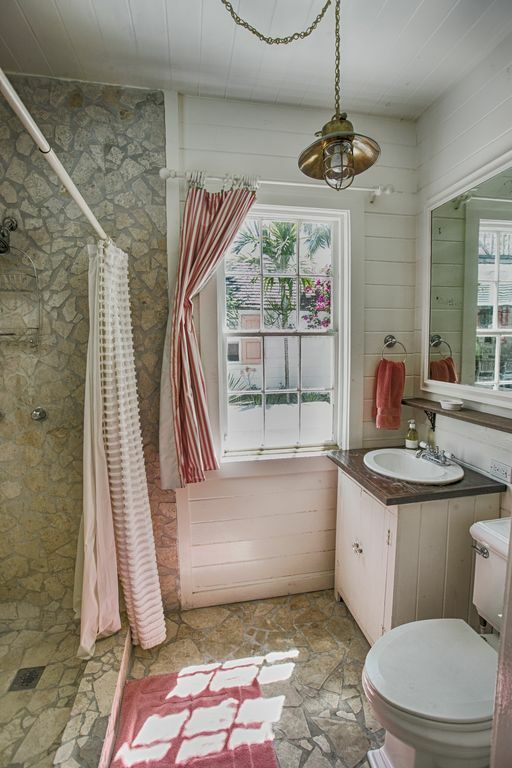 These have a shared bathroom with a clawfoot bathtub and a separate shower. The downstairs bedroom has a queen bed and en-suite bathroom. 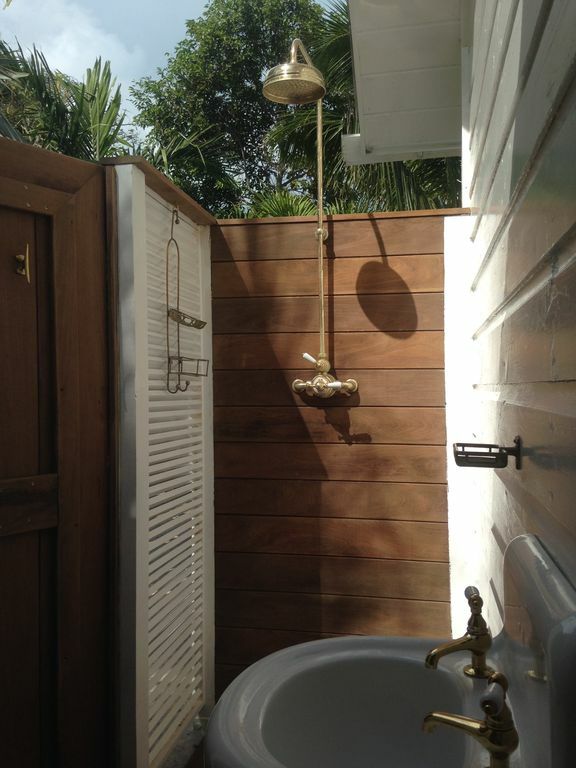 The fourth bedroom is in a separate guest house with an en-suite bathroom. All rooms have their own tvs and a/c units. 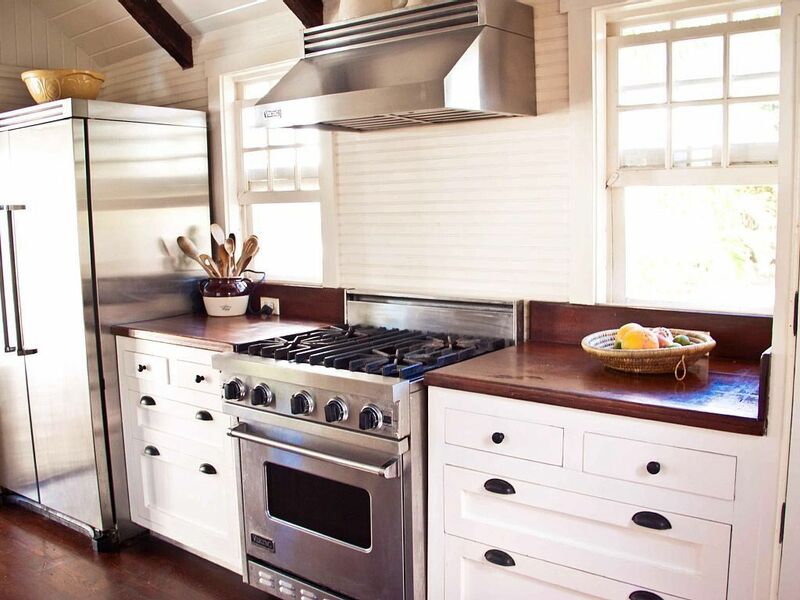 The kitchen features Viking stainless steel appliances, hand crafted wood cabinets and a traditional wooden countertop. The Dining room is located under a large covered patio and seats 12. The Hatch offers two living rooms, one in the main house and one outside. The tranquil indoor living room features white slipcovered sofa and chairs and is a perfect place to relax with a good book. 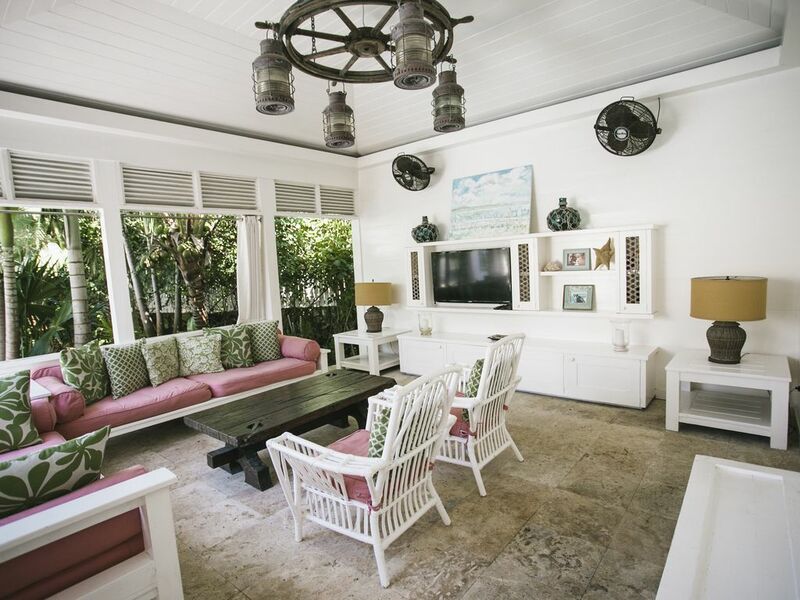 The outdoor living room is located beside the bar and dining room. Guests will surely enjoy watching their favourite tv show while lounging in the built in sofas or while floating in the pool. 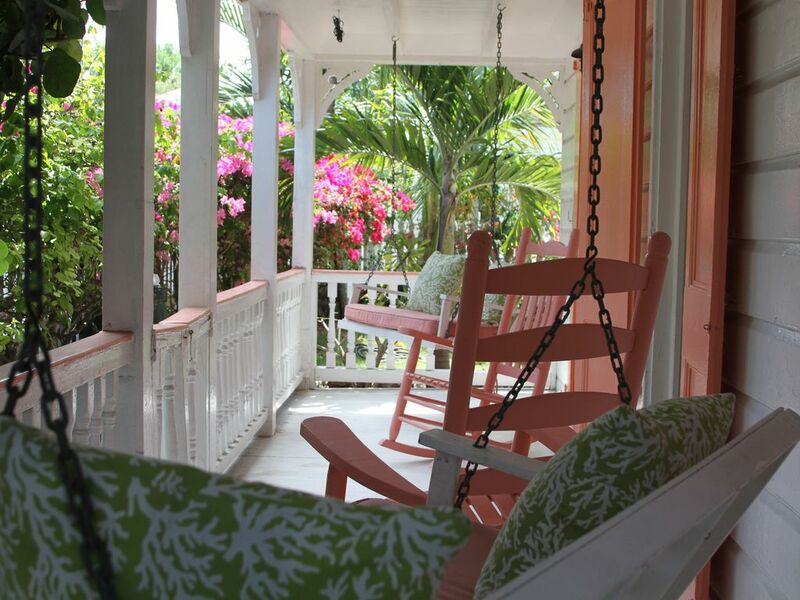 Guests also have the quiet option of sitting with a cold drink on the front porch swing or rocking chairs. Victor Martins & Joanne McGovern purchased this house in 2006. 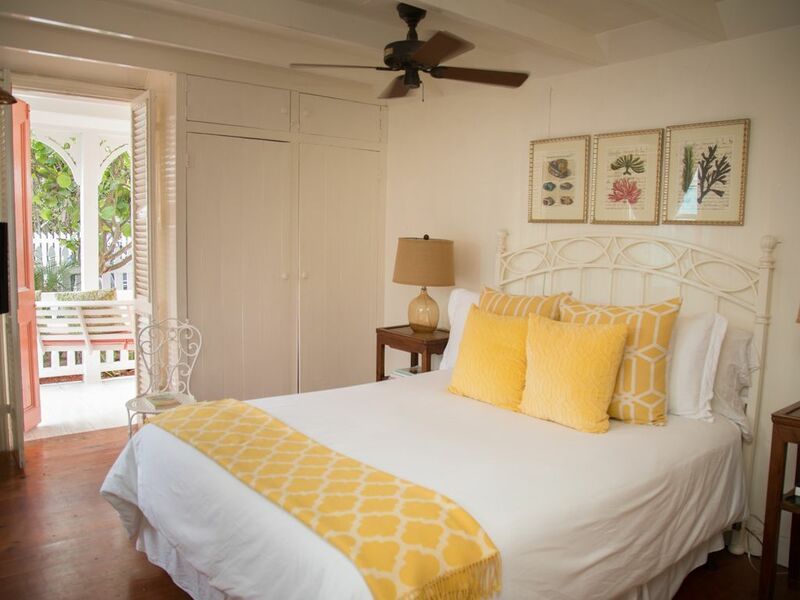 The Hatch offers a tranquil paradise in the heart of the historic village. 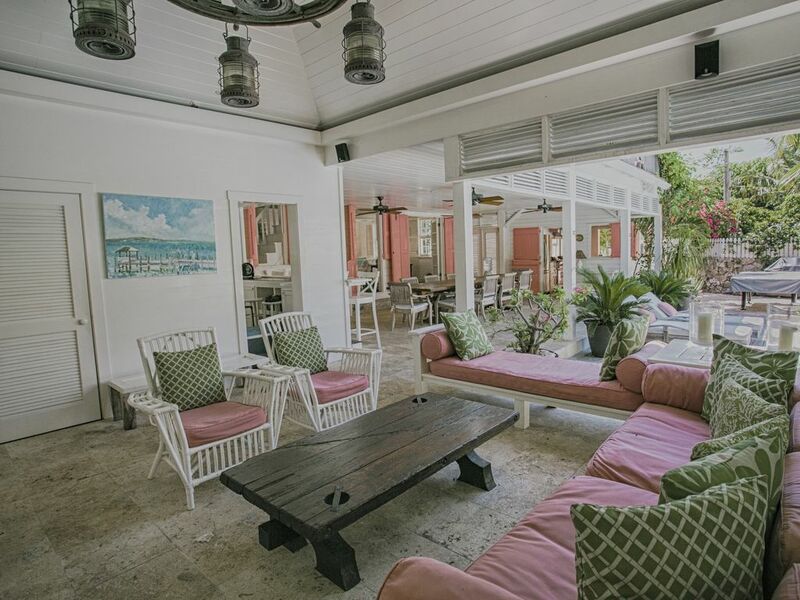 The Hatch is close to everything including shopping, bars, restaurants and the beach. It also provides everything you may need at home - with a pool, bar, pool table, gourmet kitchen and great entertaining spaces and backup generator. I cannot say enough great things about The Hatch. We were in town for a wedding and the house was perfect for our group! The Hatch has everything you\'d need and more. Vic and Jo are great hosts! Jo met us at the house upon arrival and showed us around (she even offered to pick us up from the dock!) and Vic was quick to respond to any questions before and during our stay. They provided golf cart rental recommendations, dining recommendations, and more. We would definitely return for another stay at The Hatch. Thanks for everything Jo and Vic! The Hatch is a wonderful property. Between the location, the layout, and the expansive pool and bar area, the Hatch makes a perfect rental. Every detail has been thought out to make your stay seamless and the hospitality of the owners is second to none! I would recommend The Hatch to anyone looking for a rental in town. We had an incredible stay. Vic and Joanne were such gracious hosts making sure we had everything we needed. They even came by and took everyone on a boat ride. You honestly don\'t need a thing - just bring your swimsuit and you are good. Fabulous views, so much space, comfortable beds and bedding, amazing pool... the air cranks - just perfect! We can\'t wait to come back. 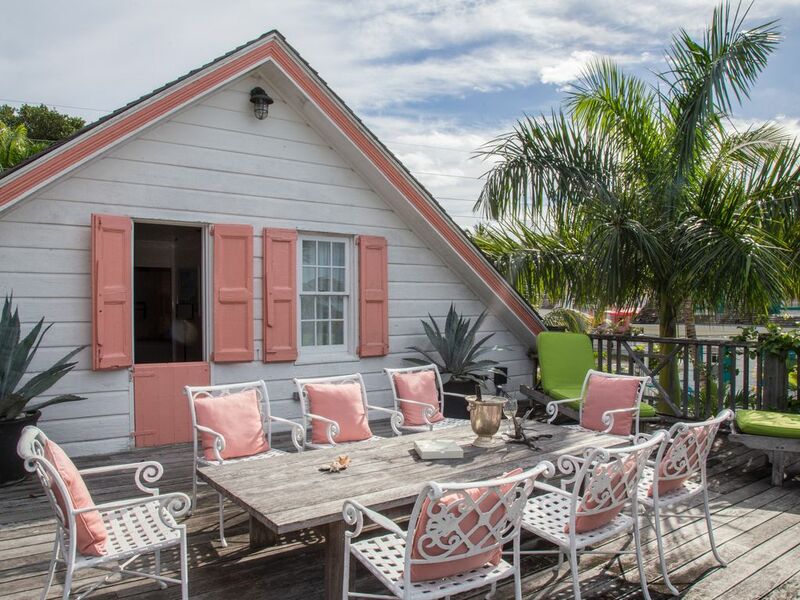 This house is perfect for anyone looking to stay in town on the bayside. The location is close to all of the amenities, and the hospitality of the owners, Vic and Joanne make it a special place to stay. Our family loved our week at The Hatch! Outdoor living spaces were perfect, pool was great, location phenomenal, and overall everything made it a place we\'ll definitely visit again. A must a do...this property is right in the heart of town but you would never know it. 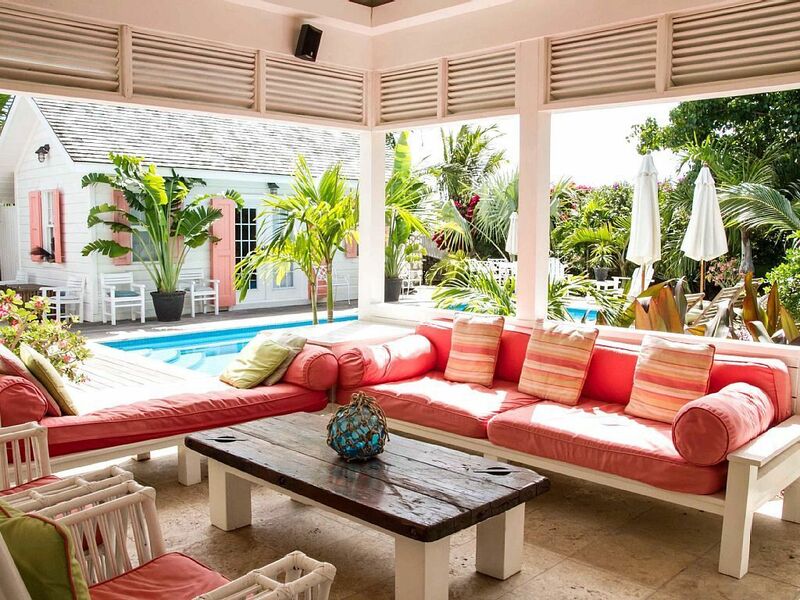 Close to everything on the island, this property is perfect for a family or a group of friends. The bedrooms are spacious, clean and comfortable, the kitchen is full equipped, the living space is open and comfortable, and the pool is warm and inviting. 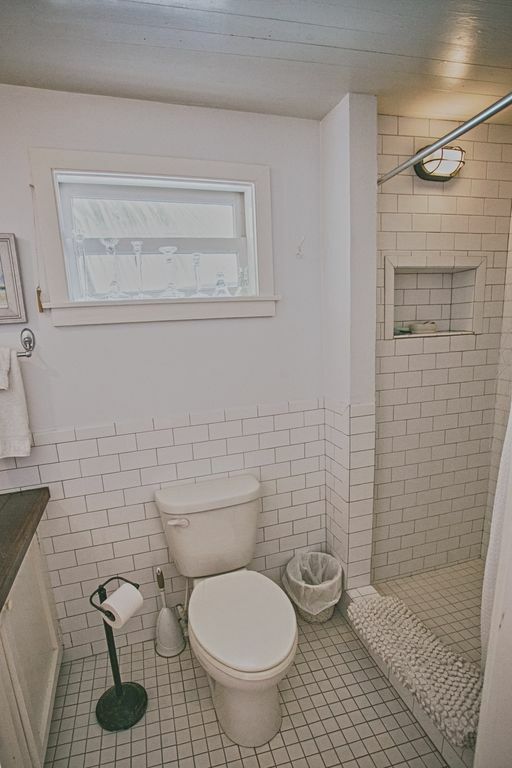 The owners of this property have thought of every need a guest would want. Don\'t pass up this property! We had an absolutely fantastic stay at the Hatch last week. We are a family of 5 with 3 small boys and the house couldn\'t have been better for us. 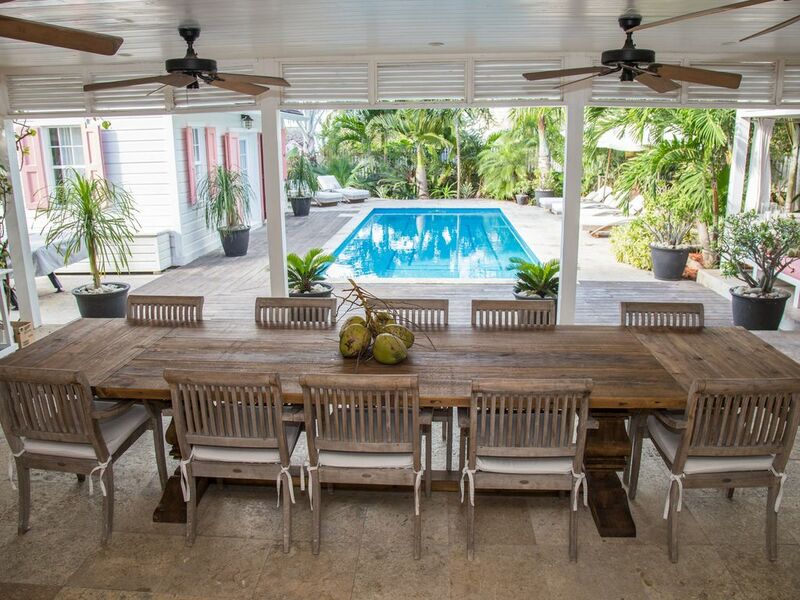 The outdoor entertaining and pool was perfect, kitchen totally equipped and there were lovely details everywhere throughout the house. Victor was available for any questions and was so accommodating. We can\'t wait to return! Absolute perfection ! !Everything you would ever want and or ask for! Beautiful home, great inside and out ! Vic and Jo ..we can not thank you enough for the wonderful time we had at the \"Hatch\"! !We will be back !! !